I bought my ProFlex 957 in December 1996. At the time, I was living in Wellington, New Zealand, and I was visiting Maureen in Santa Barbara, California, USA. The bike has been great. It’s been to Moab a few times. It’s done trails all over New Zealand, and around Ottawa, Canada, and more recently, Southern Florida, USA. It’s always been a great bike. 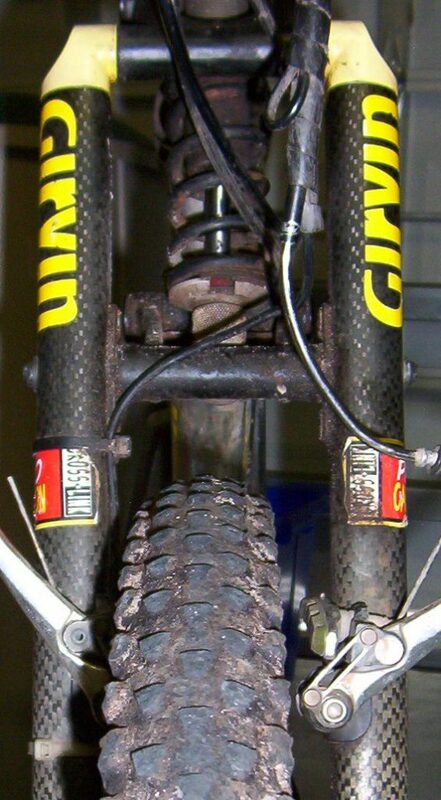 As I put my front wheel into the forks, I realised the wheel was not sitting straight. I loosened the quick release, reseated the axle, and tightened the quick release. It was still crooked. In the image to the left, you can see how much the wheel was sitting off-center. My first thought was wrong. The wheel was correctly seated in the drop outs. My next thought, the wheel was crooked. Spinning the wheel demonstrated it was true. Perhaps the wheel is off-centre. I reversed the wheel in the drop outs. It was still off-centre. I was stumped. I started looking at the forks. Then I found it…. one of the drop-outs was did not look the same as the others. It seems that the drop out has receeded into the fork leg. I don’t think it’s safe to continue using these forks. It was about this time that I resolved myself to buying a new bike. Yes, I could get a replacement fork, but the bike is 11 years old. I have been waiting to buy a new bike… but didn’t want to purchase when this bike was performing so well. Back to the ride… I borrowed a bike (hard tail) from Lynne and we headed out to the trails. It tooks us about 30 minutes to cycle there. And about 20 minutes for my seat to fail. I went over a log, and being used to suspension, I didn’t stand up on the pedals. I bent the rails on my seat. 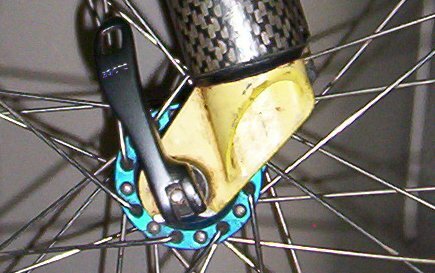 The 957 has a nice Chris King rear hub… sadly, it is not disc-compatible. I think I’ll move it over to my Avanti. 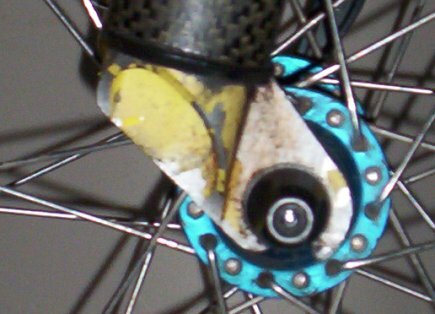 The front hub too. 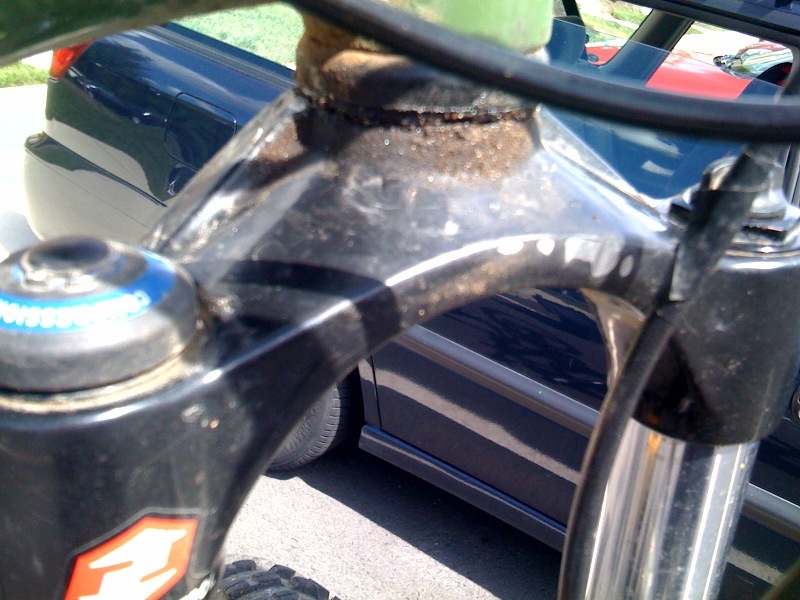 The seat-tube is still good. The handlebards are OK. As are the cranks. But apart from that, I think I need everything brand new. What do I want? Probably an aluminum frame. Definitely discs front and rear. And full suspension. I’m 6ft and about 230 lbs. I’m told I’m very light on my bike (i.e. I don’t pound it into the ground). I wouldn’t go for an aluminium frame as they have a limited life and you’re quite a big guy. To quote Wikipedia: Certain materials, such as steel, will never fail due to fatigue if the stresses remain below a certain level. Other materials, such as aluminum, will eventually fail due to fatigue regardless of the stresses the material sees. I’ve got a Marin with Columbus steel frame which I’m very happy with. The ProFlex is an AL frame. I’ve ridden it for 11 years…. Yeah, good thing they make airplanes out of steel and not aluminum, huh? dude: yeah, I guess Frank Shute doesn’t know much about metals at all..
Frank: FYI, the part which failed was not Aluminum. But let’s not let facts get in the way of a good story shall we? Frank Shute is correct; Aluminium and almost all other metals, many plastics and other materials, fatigue to zero if there are enough load cycles. Steel fatigues to about 50% of its yield strength. Having said that, I weigh 240 lbs and I must now reassemble the back wheel bearing on my proflex 855. I agree. Metal fatigues. But in this case, it was not metal which failed.